I'm a fan of all things Cinnamon. I enjoy it in sweet dishes, like Cinnamon Rolls and Apple Crisp. I enjoy it's softness in things like Skyline Chili. I enjoy it's heat in Cinnamon Imperials and Fire Balls. I enjoy it with the crisp of sugar on Cinnamon Sugar Toast and of course, those Cinnamon breakfast cereals (there are a few out there - some sweeter than others!) So, when I first heard about Land O' Lakes Cinnamon Sugar Butter Spread, I thought how could you go wrong. When I received a sample to try, it was after dinner. I really didn't want to wait to try it, so I decided to have some toast as an evening snack. It was a yummy treat. The Cinnamon Sugar Butter Spread melted nicely on the toast and delivered the cinnamon sugar taste that I enjoy. It, as expected, did not have the same crunch of putting cinnamon and sugar on your toast, as you couldn't pick up the individual crystals of sugar in the spread. I think I am okay with that. I really want to make a loaf of my homemade bread. There is little better than a slice of freshly made bread, with a touch of butter. I'm thinking though that a touch of Cinnamon Sugar Butter Spread could be as good, or dare I say, even a little better. I am not one for putting butter on pancakes, waffles, or french toast generally, but I might make an exception this time. I'm thinking that coupling that touch of cinnamon and butter with a little maple syrup could add a flavorful punch to an already tasty meal. I might have to whip up a batch of pancakes this weekend, to try it out. Want to learn more and connect with Land O' Lakes? To enter: Leave a comment sharing what dish you would first try Land O’Lakes Cinnamon Sugar Butter Spread on or in. Follow Land O' Lakes on Twitter. Like Land O' Lakes on Facebook. Giveaway will remain open until August 23rd at 6 pm. Giveaway is open to residents of the US only. One winner will be selected using a random number generator. The winner will be contacted by e-mail (be sure to leave one!) and will have 48 hours to respond or a new winner will be selected. No compensation was received for this post. The Land O' Lake Cinnamon Sugar Butter Spread and prize pack, information, and giveaway have been provided by Land O' Lakes through MyBlogSpark. All opinions expressed are my own or those of my family. I'd put it on french toast. I like land o lakes on facebook. Would love to try it on pancakes or biscuits. I would put in on buttermilk biscuits. Sounds so very yummy. I follow you on email updates too. Following Land O lakes on twitter. I think it would taste great on some toast! I am following a busy mom of two on twitter. I shared on facebook under cape coupons. I'd first try it on toast or an english muffin. Thanks for the review and giveaway! I think I'd try it on warm waffles--probably would't even need syrup! I would put it on biscuits. I would put it on half of an English Muffin and then toast it in the oven! Would love to try it on wheat bread. Thanks for the giveaway. dinner roll, I love cinnamon butter! I'd pull out the old bread machine and give it a whirl to celebrate! I'm a cinnamon toast fanatic so it would go on toast. I'd make heart shaped pancakes!! looks like it'd go great with belgian waffles and a little whipped cream! I like you oon FB! This sounds delicious on toast! I'd love to try this on biscuits. Call me craqzy, but I think this would be really good on a baked sweet potato. I would try cinnamon sugar butter on a chocolate chip bagel. I would definitely try this on French Toast first! Hormel Foods Sampler Pack Winner! 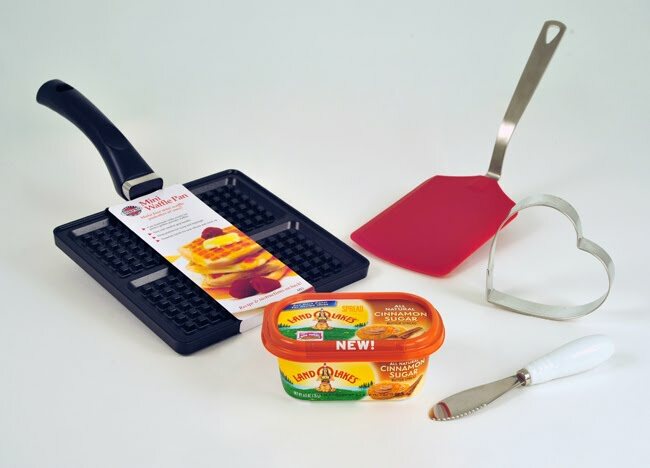 Hormel Foods Sampler Pack Giveaway - ending soon!